There are two big contests taking submissions next week. I'll be a co-host of Pitchslam which takes submission on April 3rd. You can find all the details at L. L. McKinney's blog. (follow Elle at https://twitter.com/ElleOnWords) It's theme this time around is Classic Hollywood. As a director I'll be casting for my Western. (Not that that means I'm only looking for westerns. Actually I'm looking for all age categories and genres, though as usual I lean toward fantasy/speculative fiction.) 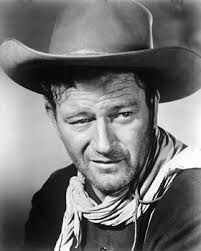 John Wayne is my team's leading man. I'll be looking for entries that show True Grit. The nice thing about PitchSlam is getting feedback before you send in your final entry. That lets you revise before the team Directors make their picks.